What are the components of a great summer party? Great food with plenty of snacks, cool drinks and rocking music. On the drink front, I'm a big believer in one "house" drink, pre-made in big pitchers and easily customizable for guests. 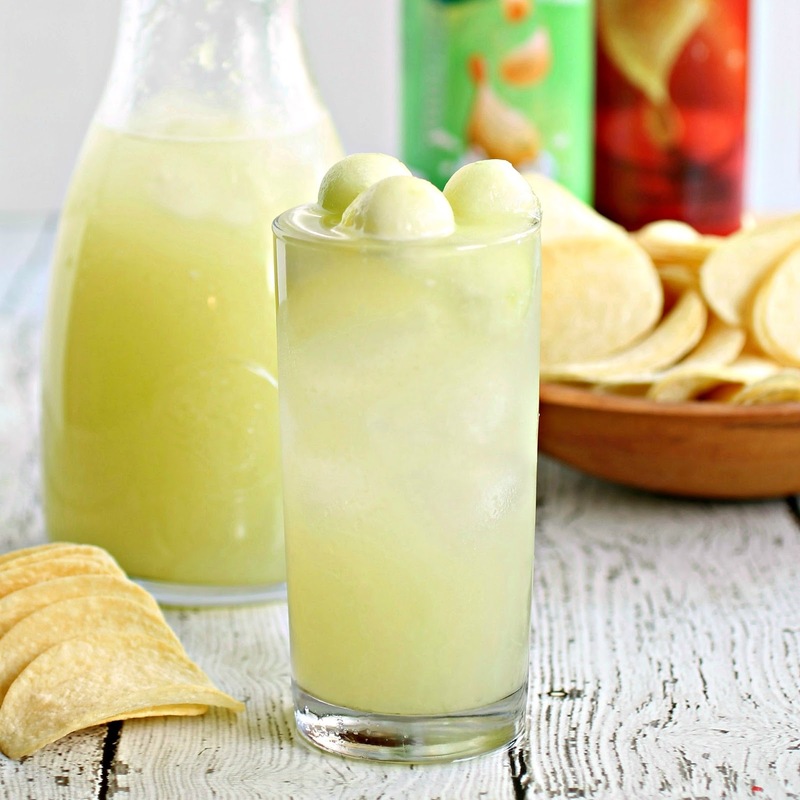 Agua frescas are traditional Mexican waters flavored with fresh fruit. They're refreshing, delicious and healthy. Typically non-alcoholic so they're perfect for kids and non-drinking guests. And for the rest of us, they're an excellent cocktail base. Just add vodka! On the snack front I've recently re-discovered an old friend. 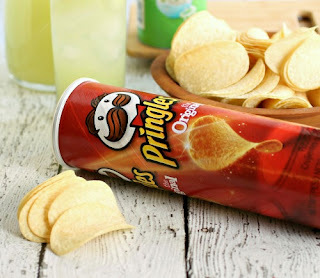 Pringles were a classic stand-by when I was younger and lately I've found myself addicted to them again. Just the perfect flavor and crunch for easy snacking and those cans were always so much fun. Seriously, did you ever use them as bongos? OK, I won't make you tell but I will say they get quite a nice sound if you happen to have a pair of drumsticks around, too. Pringles is having a summer jam contest where you can enter to win a VIP experience at a Live Nation concert including airfare, tickets and hotel stay! Click here to see all the details and enter to win. And while you're there, check out some world class musicians displaying their drumming talents using Pringles cans. Enjoy and good luck! Add the diced fruit, water, lime juice, simple syrup and salt to a blender and puree until smooth. 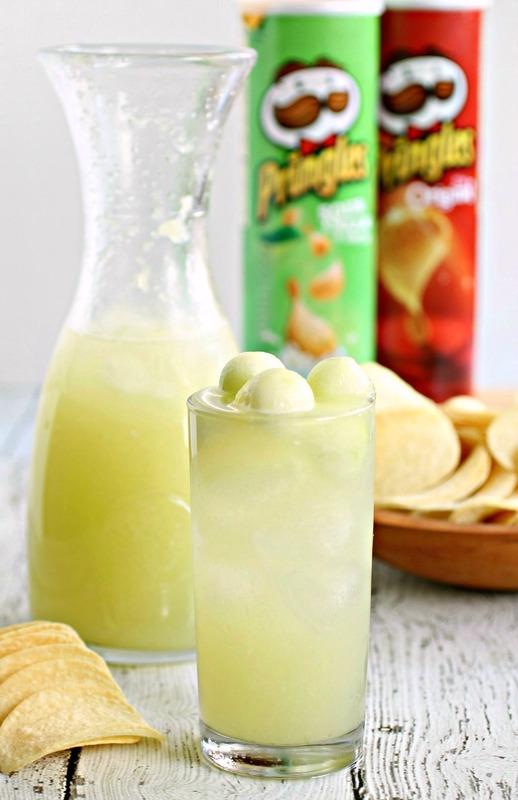 Pour into a large pitcher and serve over ice. This recipe was sponsored by Pringles. Thank you for supporting the products I love and use in my kitchen. I love the idea of serving up agua fresca to a crowd. Pringles are my favorite snack to take on road trips because you can easily seal up the container, unlike big bags of chips.